On Sale Now! 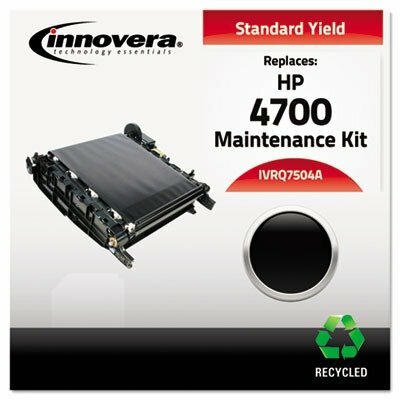 Save 8% on the 4700 Transfer Maintenance Kit by Innovera at Old Mill Middle North. SKU: IVRQ7504A. MPN: IVRQ7504A. Hurry! Limited time offer. Offer valid only while supplies last. IVRQ7504A Features: -Transfer kit. -Device types: Laser printer. -Page yield: 100000. -Supply type: Transfer kit. -OEM or compatible: Compatible. IVRQ7504A Features: -Transfer kit. -Device types: Laser printer. -Page yield: 100000. -Supply type: Transfer kit. -OEM or compatible: Compatible. -Remanufactured: Yes. Product Type: -Toner. Country of Manufacture: -United States. Dimensions: Cartridge Height - Top to Bottom: -7". Cartridge Width - Side to Side: -15". Cartridge Depth - Front to Back: -15". Overall Product Weight: -10 lbs. If you have any questions about this product by Innovera, contact us by completing and submitting the form below. If you are looking for a specif part number, please include it with your message.